Played during a guest appearance with John Eddie. The song also featured Elliott Murphy, Greg Kihn, and Marshall Crenshaw. 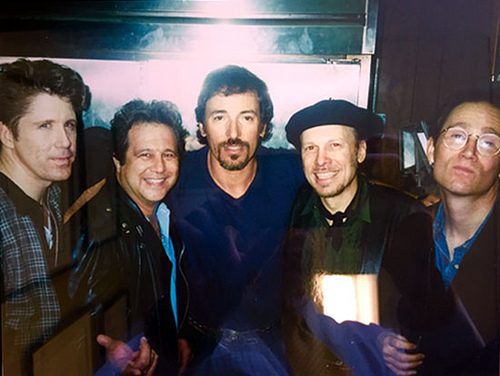 The song started as T. Rex's 'Get it on' but was messed-up after the first verse and Springsteen rescued the situation by transforming it into (Get your kicks on ) Route 66. Springsteen sings backup vocals on the chorus during the Get it on part and sings lead vocals during the (Get your kicks on ) Route 66 part. Murphy, Kihn, and Crenshaw had each performed a solo set that night, followed by a set by Eddie and his band. Springsteen then joined Eddie onstage, as did the three other artists, jamming together on four songs.